Matthew Shannon is a partner in the firm’s litigation department. His areas of practice include complex commercial litigation, land use & real estate litigation, construction litigation, insurance defense, and legal malpractice defense. 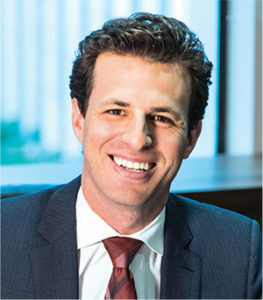 He has represented clients in civil litigation disputes and other complex legal matters in state and federal court, administrative proceedings, mediation, and arbitration proceedings. Represented architect in multiple lawsuits by owners of Honolulu condominium towers. Represented military housing developer in design defect arbitration against architect. Resulted in finding of liability and large arbitration award against architect. Represented designer of renewable energy power plant project in mechanics’ lien and subsequent foreclosure action. Represented various contractors in administrative proceedings brought by state and federal agencies for safety violations, wage and hour claims, and other construction industry enforcement actions. Represented multi-national architecture firm in design defect litigation regarding airport projects in the Northern Mariana Islands. Represented homeowner in lawsuit against contractors and design professional alleging construction defects, design defects, and cost overruns. Represented developer of subdivision in construction defect arbitration brought by homeowner association. Represented landowner in successful administrative appeal of Land Use Commission proceeding, as well as federal court regulatory takings claim filed against the State of Hawaii. Represented lenders and creditors in mortgage foreclosures and bankruptcy proceedings. Represented property owners and tenants in rent determination arbitrations regarding long-term ground leases. Represented hi tech start-up business owner in lawsuit against former partner and investor. Represented hospitality real estate company in lawsuit brought by Japanese investors. Represented various landlords in commercial tenant disputes, including collection and eviction proceedings. Represented majority owner of real estate holding company in derivative lawsuit against minority shareholder and manager. Represented various attorneys in defense of legal malpractice claims, including claims resolved through mediation, arbitration, and state court litigation. Represented insurance companies in coverage dispute with State of Hawaii regarding business interruption claims arising out of 9/11 terrorist attacks.